holds a Master’s Degree in Agricultural and Resources Economics from the University of Alberta, Canada and a Bachelor Degree in Economics from the University of Yaoundé in Cameroon. She took up the position of Country Director for WWF Cameroon Country Programme Office on February 1st 2019. Prior to joining WWF, Ms Ngomba had worked with the African Development Bank (AFDB) as the Coordinator for the Congo Basin Forest Fund (CBFF), a multi donor Fund hosted by AFDB and funded by the United Kingdom, Norway and Canada. She was responsible for overseeing activities of the Fund which aimed at reducing the rate of deforestation and forest degradation in the Congo Basin region. The CBFF funded projects in the ten member countries of the Central Africa Forest Commission (COMIFAC), including: Burundi, Cameroon, Chad, Central African Republic, Congo, the Democratic Republic of Congo, Equatorial Guinea, Gabon, Rwanda, and Sao Tome & Principe. Previously, Ms. Clotilde NGOMBA had worked at the World Bank as an Agricultural Economist with responsibilities in policy reforms and Progamme management in the agriculture, forestry and Environmental sectors in Central and Western African countries. 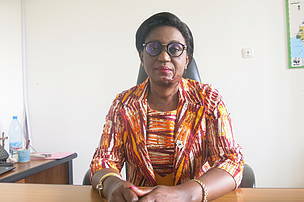 Before joining the World Bank, Ms Ngomba worked for 11 years in various capacities in the Ministries of Agriculture and forestry under the Government of Cameroon. Since October 2016, Dr Cleto is responsible of for the development, implementation and coordination of WWF conservation and policy programme and advise the country Director on pertinent issues. He is in charge of the implementation of the strategic plan (2018-2022) with a focus on the key conservation targets: Elephants, great apes, forests, food and agriculture and human wellbeing. Before he joined WWF, he worked for many organizations. He holds a PhD in Environmental Science from the Multicultural international university in Dominique, France, focusing on Environmental policies and practices, Operational research, international forestry, landscape management, livelihoods. ; a Master degree on management of agro-sylvo pastoral systems in the tropics with a focus on timber industry management, tropical forestry development, geopolitics and development University of Burundi from University Paris XII Val-de-Marne Créteil. He is author and co-author of more than 40 technical and scientific publications. 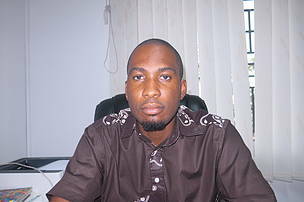 Is a Cameroonian with educational background on Sociology. She has over 12 years experience working in the conservation fields on various issues such as socio-economic, programme development, gender, monitoring and evaluation, etc. Anne has worked with WWF for more than 10 years and has grown enormously in her career. She is presently working as the M&E officer looking at all field & satellite programmes of WWF Cameroon. 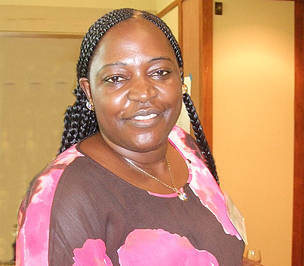 She won the ‘Liz Claiborne Women in Conservation in the Congo Basin’ grant in 2008. Anne is presently applying this knowledge in her day to day work of monitoring and evaluation (elaboration of socio-economic indicators for monitoring of field programmes livelihood activities and outcomes); programme development, strategic plan development; reporting and analysis of reports; etc. Is the Internal Controller for WWF Cameroon Country Programme Office with over 20 years experience working for a variety of international NGOs and chartered accounting firms. He is a certified risk management Facilitator from the Risk Management Institute of London. He left an indelible legacy in all the organizations he worked for, and built the capacity of staff under his supervision, assisted in the establishment of country risk management registers in Plan West Africa and contributed in the deterrence and detection of fraud and corruption. He holds an MSc in finance, is a Fellow Certified Forensic Investigation Professional USA (FCFIP) as well as an Associate Certificated Fraud examiner (ACFE) USA. Recently, in 2017, he completed a 9months WWF and Presencing Institute Leadership course; Leadership Impact for transformation (LIFT) program for Africa and Latin America. 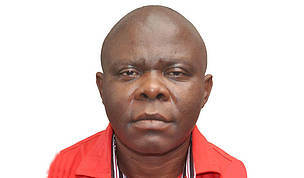 Dr Forboseh is a strong advocate of people-centered conservation with more than 15 years of experience in developing and managing forestry, conservation and rights-based child-centered development projects and programs with international NGOs. He has over 10 peer-reviewed research publications. 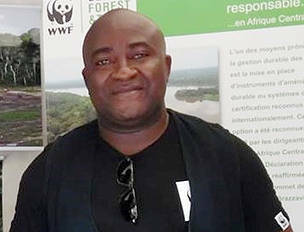 Dr Forboseh currently serves as the WWF Cameroon Senior Program Coordinator responsible for strategic management of the Coastal Forests Program, Climate and Energy Focal Point, and provides support in fundraising and the transformational youth and education initiatives. 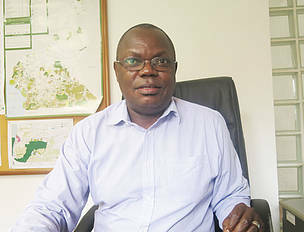 He holds the doctorate degree in Forest Science from Michigan Technological University, USA and BSc (Hons) in Forest Management from the University of Aberdeen, Scotland, UK. With my academic background of Forest and wildlife Engineer, I started my career in Conservation as a Protected Area Conservator combined with being a biologist doing scientific studies in the concerned protected area in the South East Cameroon, now called Jengi in 1996. All along this life of Conservator/ biologist I use to attend refresher /training session organized by both WWF and other Organizations, directly related to conservation like the research training for tropical forest usually organized by WCS, or others like the PMP (People management programme), LIFT, organized by WWF. Being a Manager (Cameroon segment of the TRIDOM) in the second world richest tropical forests, requires that a more aggressive and efficient approach is used to conserve this rich biodiversity of this part of Congo Basin forest. And WWF with is large network, is the kind of organization that can give you opportunity to work on it. 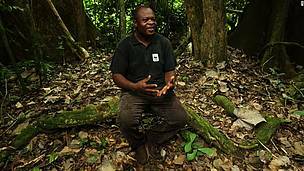 Has been working with WWF Cameroon since 2001. Presently, he is the Acting Program Executant of WWF-Coastal Forests Program in Cameroon and also serves as Civil Society Capacity Development Officer. Prior to these positions, he briefly worked with Earth Watch Botanical Team in Cameroon as Office Manager from where he joined WWF Cameroon and served as Participatory Forest Management Facilitator and Site Manager of the Bakossi Landscape. He holds a Master’s degree in International Development: Environment and Development from the University of Manchester, England. He has contributed considerably in WWF’s work with civil societies around protected areas in south west Cameroon, especially in Green Enterprise Development and Civil Society Organizations partnering with WWF Cameroon. Is currently the Program Manager of the WWF Kudu Zombo Programme, Campo-Ma’an National Park, Cameroon. He brings in over 20 years of expertise from WWF, IUCN, TROPENBOS INTERNATIONAL & WCS in the areas of ecology and population dynamics of large mammals, biodiversity and landscape management. Since 2014 he has been coordinating the first ever low land gorilla habituation project in Cameroon in the Campo-Ma’an National Park including forest elephant radio-telemetry on Mount Cameroon National Park. A Conservation Biologist by training, Manasseh is a holder of a MSc. in Conservation Biology from DICE, University of Kent at Canterbury, UK. Joined the WWF Cameroon Human Resources Team in 2012. He has almost 10 years of human resources experience with a specialization in talent management including workforce planning, recruiting, performance management, employee development and employee engagement. He also has experience managing employee relations, benefits, compensation and compliance issues. Prior to joining WWF Cameroon, Joel has worked in different organizations like SCB Cameroon (Banking & Finance sector), Orange Cameroon (Telecommunications sector) and IUCN. Joel has a BA in Communications and HR Management with honors and an MS in Human Resources Management (with honors) from the Catholic University of Central Africa. 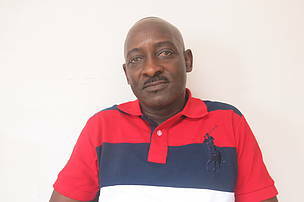 He is member of the Cameroonian Association of Human Resources Managers (AGRHU). Mr. Djibrila Hessana holds the Diploma on Water and Forest Engineering obtained at the National School of Water and Forests of Cap-Estérias (Libreville Gabon). He also holds a DESS in Environmental Sciences obtained at the University of Yaoundé I. 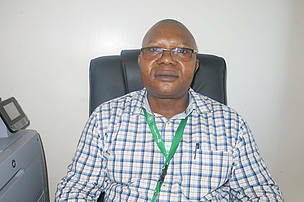 With over 25 years of career in Public Administration where he held alternately the positions of Divisional Delegate, Regional Delegate and Deputy Director of Protected Areas, this conservation lover joined the ranks of WWF-Cameroon in November 2015 as Senior Technical Advisor of PCBAC-SEAC, a program implemented between the states of Cameroon, CAR and Chad. 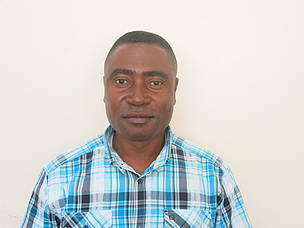 Since August 2017, he has been working as Jengi-TNS Program Manager in south-eastern Cameroon, at Lobéké National Park. As a conservation practitioner, Djibrila was one of the spawners of the Emergency Action Plan for Securing of Protected Areas in Cameroon. In addition, he participated in the drafting of several management plans for major protected areas. For him, the future of conservation rests on three pillars namely: the education of the youth at the basic level, taking into account the knowledge of the indigenous populations in decision-making and investment in the sustainable management of natural resources. Dr. Nzooh is a Conservation Biologist. He has been working for 24 years and has huge experience in managing large landscape programmes, with multiple funding sources and in capitalizing conservation and sustainable development achievements to improve policies and strategies. He played an important role in the development of the Sangha Tri-National (TNS) Accords for cross border conservation. He contributed to the elaboration of the TNS application for World Heritage site. Before joining WWF as biomonitoring officer in 2002, he worked as researcher in the Dja Biosphere Reserve under ECOFAC, a European Union Programme. 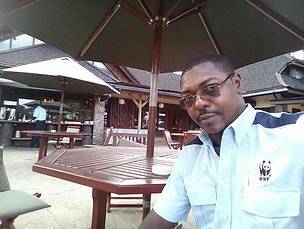 Since 2014, he coordinates the Biomonitoring and Wildlife Management component of WWF Cameroon Office. He is author/co-author of 24 peer-reviewed research publications and 47 Scientific reports mostly in the domain of wildlife management. He holds a doctorate degree in Plant Ecology from the University of Yaounde-Cameroon.